Safety for manufacturing can always be improved, whether to adhere to new OSHA standards or to minimize machine downtime. 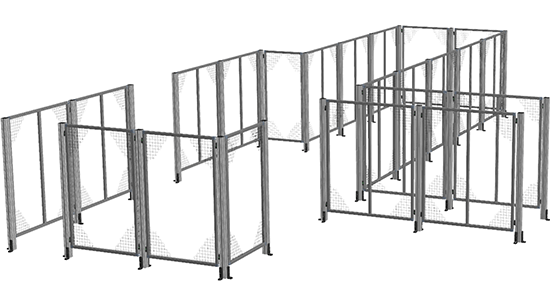 MB Kit Systems’ engineering team has vast experience designing and constructing safety hard guarding, mesh guards, and industrial partitions. With machine guarding as one of the Top 10 most cited OSHA violations, it’s important to partner with an experienced company when designing safety hard guarding solutions. 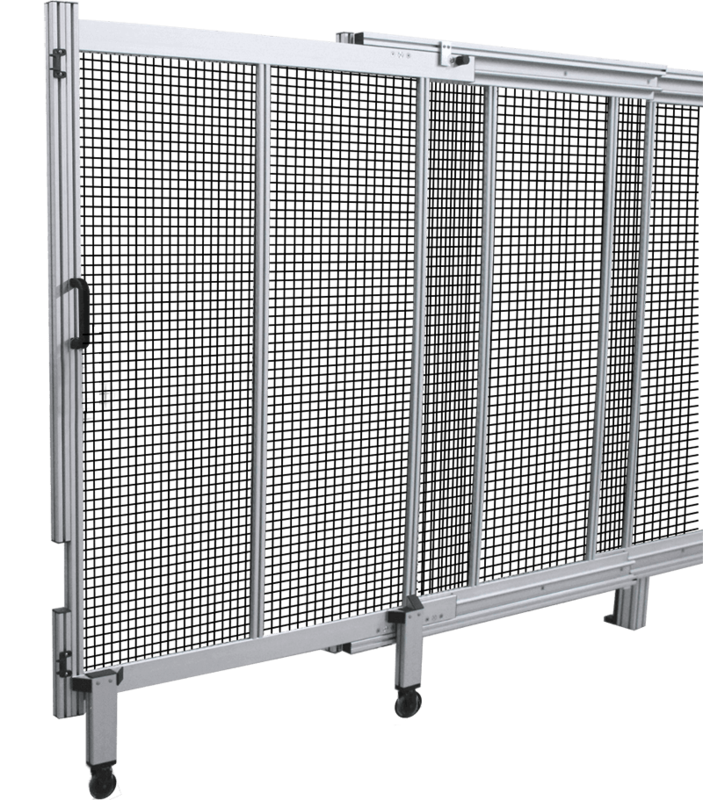 One of the many long-term benefits of using a modular extruded aluminum framing system for your safety project is that it allows for machine guarding and industrial partitions to be disassembled and reassembled with updates as needed. This flexibility of design allows for safety guarding to expand with workflow processes and innovations over the long-term. Please fill out all the information below. The file will be emailed to you after. Your PDF was sent to your inbox. 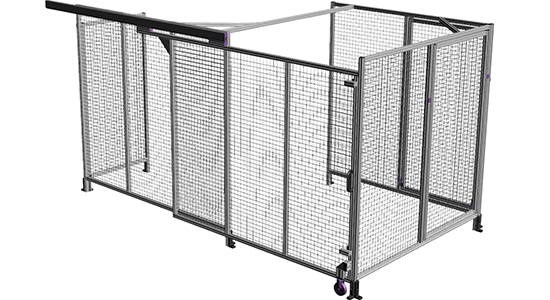 Keep your equipment and employees protected with specialty-engineered machine guarding. Safety precautions are often neglected until problems are apparent. Maintaining a safe workplace environment has benefits beyond productivity up-time and minimizing worker injury. Product quality and employee morale will increase, while employee turnover will decrease, making guarding well worth the investment. 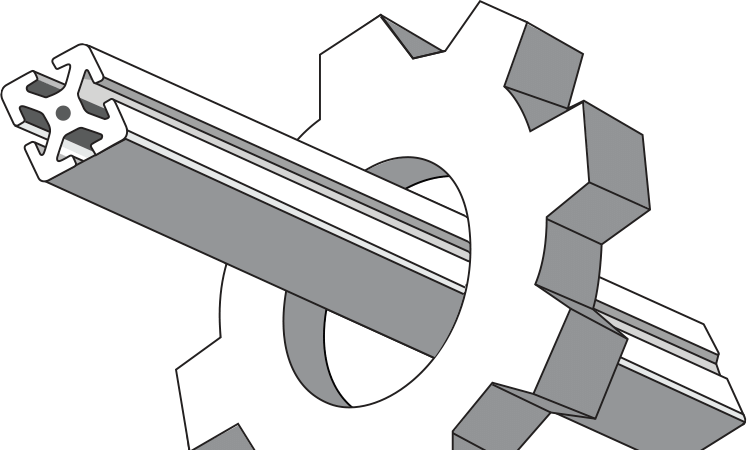 A popular profile set to use with machine guarding is Clamp Profile. This profile is designed to clamp down on panel material, utilizing grooves with spring elements. 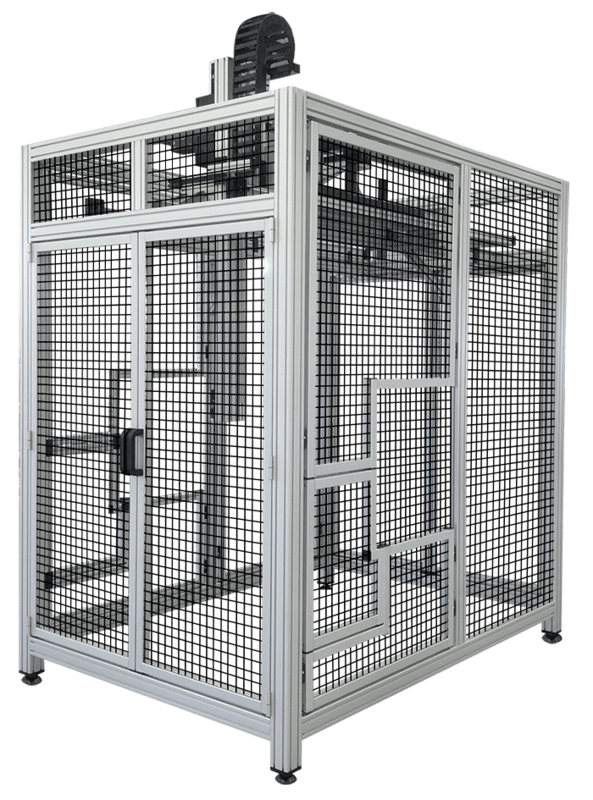 Clamp Profile is the strongest frame choices for machine guarding and protective applications. 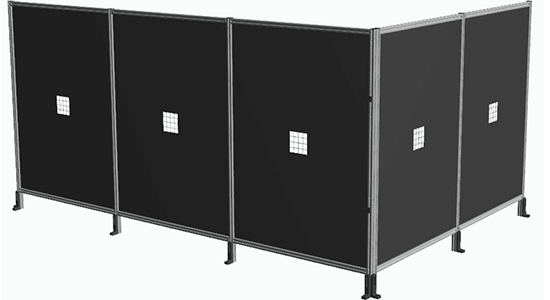 It can be used with a wider range of panel material. 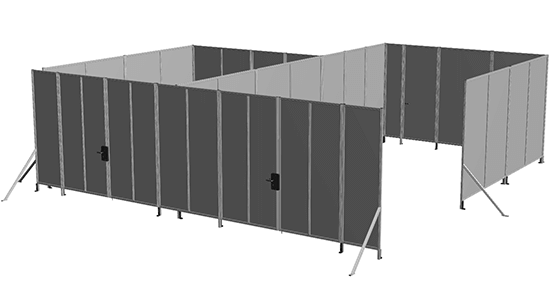 Both Clamp Profiles 6 and 8 feature robust clamping strength and is ideal for large safety hard guarding and industrial partition applications. Locks and safety hangers are available for securing doors, while maintaining easy access. 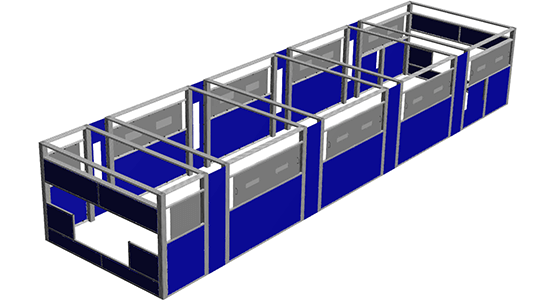 MB Kit Systems' Safety Partitions can be placed anywhere on the manufacturing floor to act as a barrier between common work areas and high traffic areas. 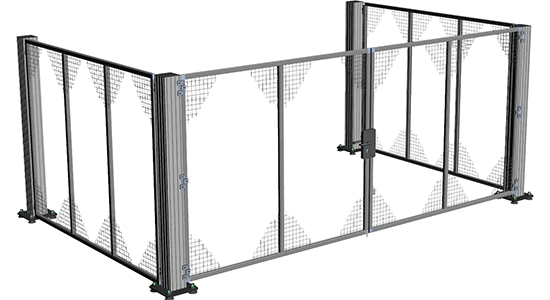 At a standard height, these partitions are free-standing and act as a divider between machines and dangerous areas. 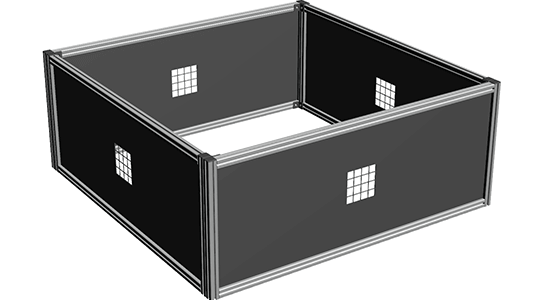 Partitions typically use polycarbonate for their paneling selection, however mesh in a variety of color options and other material choices are also available. 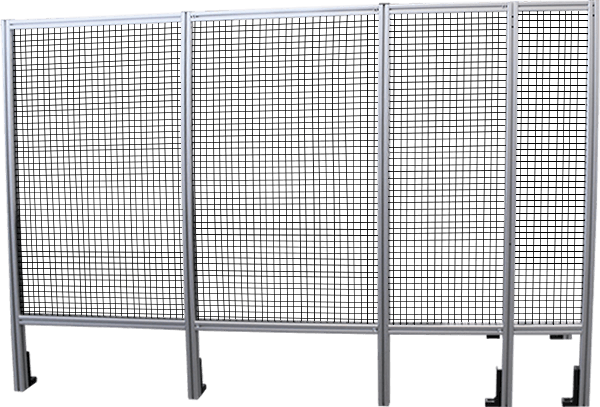 Partition sections are typically 4' x 8' or 1219.2mm x 2438.4mm.